Damage to a car's windshield is inevitable for most drivers, and one of the most common are rock chips and pits or dings. As debris, stones and other materials get flung at our automobiles, the windshield does its job by protecting us and deflecting the objects but in the process, it can sustain some damage. A pit is somewhat like a small crater where the glass has been literally knocked out. In this case, pits technically do not penetrate the bonded plastic layer in between the two pieces of glass that make up a windshield. A chip in contrast is irregular and commonly creates a "star" effect with small cracks emanating out. Rock chips and pits should be repaired for several reasons, and span safety and the integrity of your windshield. A chip or pit can often lead to ever-expanding cracks, which left unattended can often eventually span the entire windshield. Another important reason is visibility... the chip or pit itself can obstruct the driver's view, an intolerable situation even if the scarred area is small. Of course, a crack or cracks expanding out create an even worse visibility impairment. With modern techniques, repairing this kind of damage is not only solid but convenient since it often does not take much time. Auto insurance can also in some cases defray costs. It makes the use of repair services an easy choice in caring for your automobile. 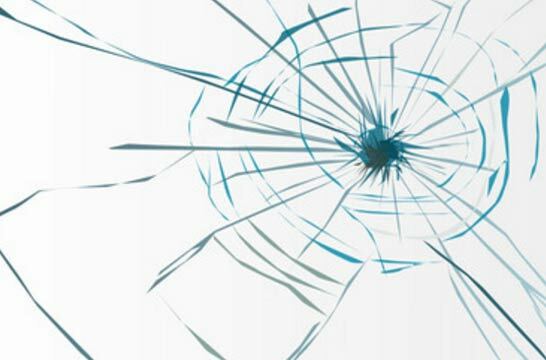 Ask Glass Magic today for details on how we can quickly and capably repair surface damage to your autoglass.